Opera is a style of entertainment that involves theater combined with orchestral music and singers who perform using a distinctive classical method of projecting their voice. 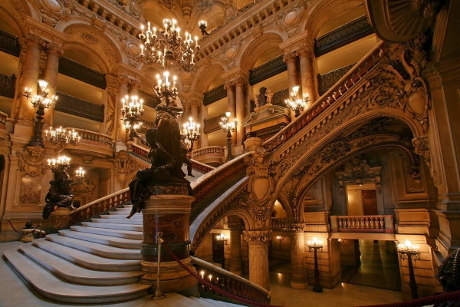 Performers in opera are not only trained in singing, but also in stage craft such as acting and choreography. The lead performers in most major productions are usually well known, and often as famous as their counterparts in other forms of theater such as Broadway Musicals. As an art form opera was invented in the mid 1500s in the Italian city of Florence by a group of actors who were performing classical Greek theater and surmised that the original would have been performed with music playing in the background. Adopting the humanist approach to theater, these actors were nobel men educated in Latin and Greek and for whom the ancient dramas defined theater at its best. The style of music played in the original Greek plays would have been quite simple, perhaps only a handful of instrumentalists playing the lyre, flutes and simple drums. By renaissance times instruments were quite different leading to richer more obvious music accompaniment, certainly by this time brass instruments like the trumpet had been invented and most string and wood instruments were significantly different. Fuller sounding instrumentals would often drown out the voice of the performers leading to actors developing techniques for amplifying the voice, a step that quickly led to singing their parts instead of just reciting their lines. Singing is known to allow performers to project their voices further or more loudly and renaissance time were changing from religious austerity to more creative endeavors being the perfect environment for opera to develop. By the end of the 16th century this new style of theater was becoming popular and new productions specifically written to be sung with accompaniment began appearing. The De Medici family in Florence are believed to have paid a composer Jacopo Peri for the very first opera entitled ‘Dafne’ in 1598. It was performed in their private court for the nobility of Florence, and sadly much of the score for it has been lost yet it still has a place in the history of opera. A few years later opera had made its mark and word of the new theater to music had spread from Florence to the rest of Italy, north to the Austrian Empire and the German Principalities, east the the Russian Empire, and as far west as England, France, and Spain. Outside of Italy the enthusiasm for opera was restricted to the nobility and landed gentry. In Florence and the other great Italian cities such as Venice, Rome, or Milan dedicated opera houses started to be built and tickets to performances sold, with Venice taking the lead starting in 1637, but eventually building over 15 for the citizens of Venice alone and making Venice the spiritual and cultural home of opera even if Florence had been its birth city. Claudio Monteverdi, one of the fathers of opera and whose works are still performed took the decision early in his operas to add short performances within his works that were designed to appeal to a wider audience, the emerging merchant classes who were less cultured and needed a little more entertainment than the heavy operas of the day. Eventually these short pieces were dropped as the crowds started to appreciate a full length opera without interruption. The growing demand for opera of both a serious nature (opera seria) or the more entertaining comedic nature (opera buffa) created different schools of thought on the nature of opera, some composers preferring complex subtexts and interwoven plots, others preferring a minimalist approach. As opera productions generally told the story of love, many of the characters appearing on stage were of course meant to be women, but renaissance society frowned on female actors, leading to all actors being men, a situation that encouraged castrati (castrated men) from all over Europe and the Arab world to make their way into theater, the best of them being able to hold a superb falsetto indistinguishable from that of a woman. The introduction of women into opera as performers tho wasn’t always seen as a disgrace to be remedied with castratis, indeed the famed English composer Henry Purcell wrote an English language opera for the dancing professor of a girls boarding school, which received critical review in the late 1600s and featured a cast of young ladies drawn from the gentry of England. The language of the original operas were mostly written in the Italian of the great cities such as Florence and Venice, happily this is very similar to the Italian of today. 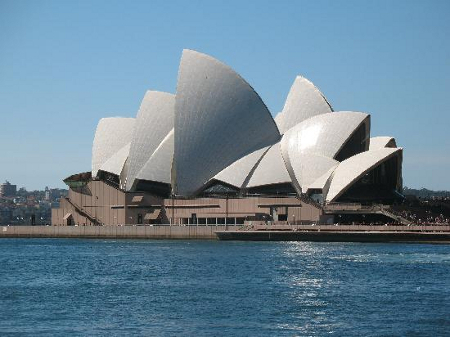 Opera however did prove popular in other languages and has been able to transcend the language barrier to become popular elsewhere, notably German and French, and in the 20th century English operas and operatic style musicals became exceedingly popular. The development of opera in the 18th century, at least outside of Italy, was mostly of German origin under the patronage of the most powerful imperial family of Europe, the Habsburgs of Austria. Based in Vienna they had a natural interest in German language opera inspired by Germanic myths and folklore. Composers such as Glück, Mozart, Schubert, Schumann, Strauss, Weber, and Wagner all drove German opera to the pinnacle of perfection and thus influenced every other composer since, from the Italian courts to the French grand opera. German singspiele, singing and acting, came to be dominant and transformed opera buffa from its slapstick roots into a style filled with humor and nuance. English opera by comparison developed in wholly different directions after having been banned during Cromwell’s reign whose puritan government frowned on singing and dancing. After the return of the monarchy opera was acceptable again but opera buffa proved more popular, leading to a distinctly English style of opera humor whose greatest proponents included George Fredric Handel, Thomas Arne, John Gay, and perhaps best known of them all Gilbert and Sullivan. European immigrants to the US brought their love of opera with them, and Americans with their passion for being entertained quickly adopted opera as their own. 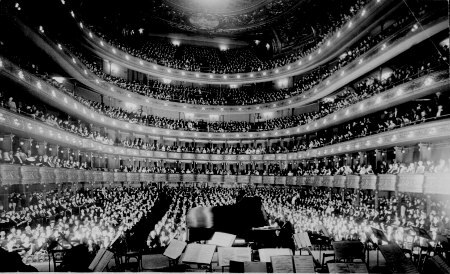 In New York the Metropolitan Opera company in the 20th century took a leading role in the development of modern opera and providing a stage for contemporary opera to thrive.